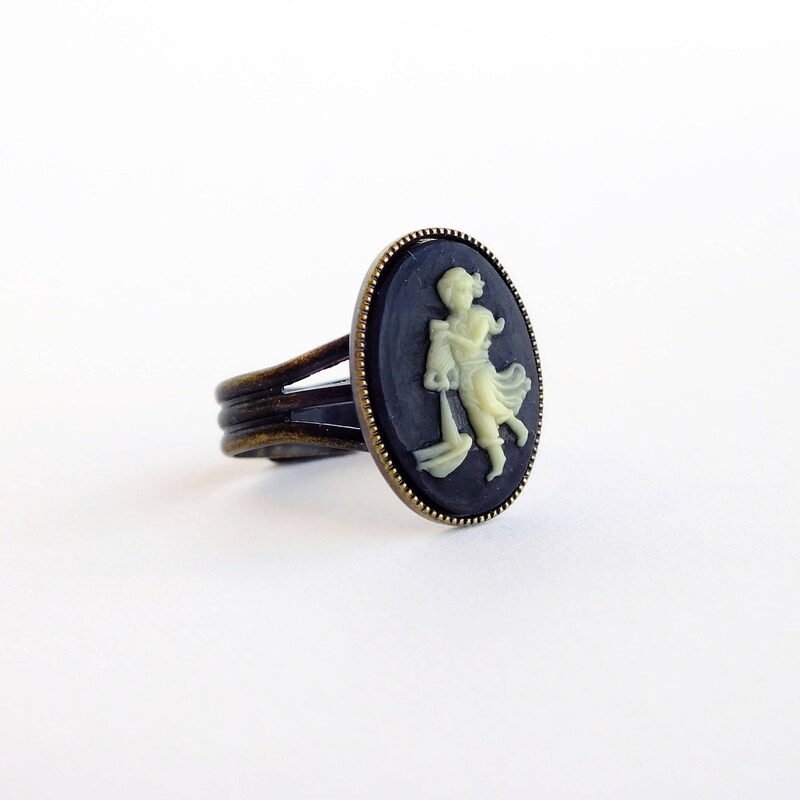 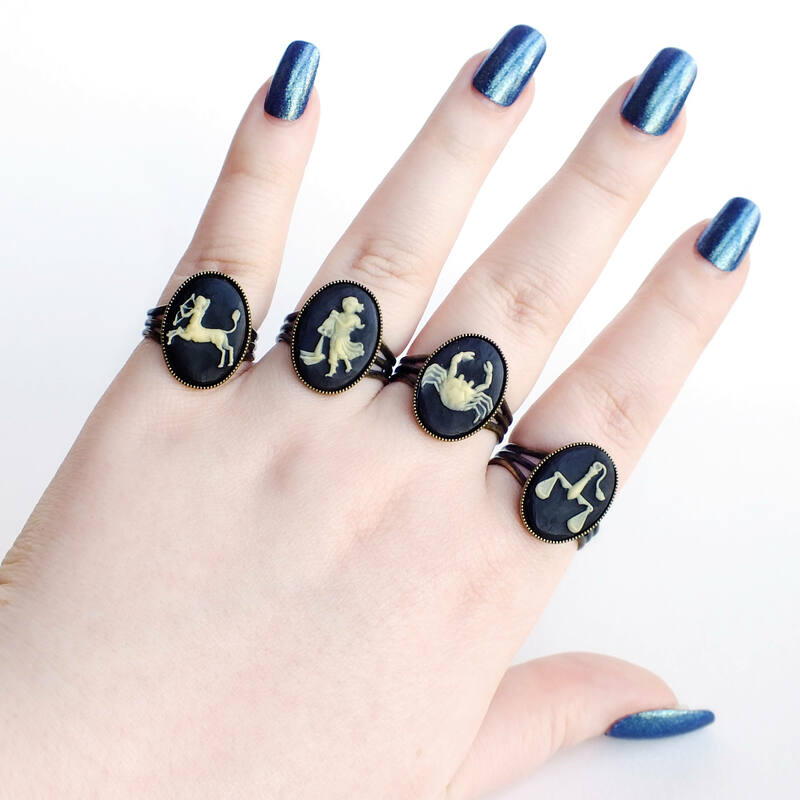 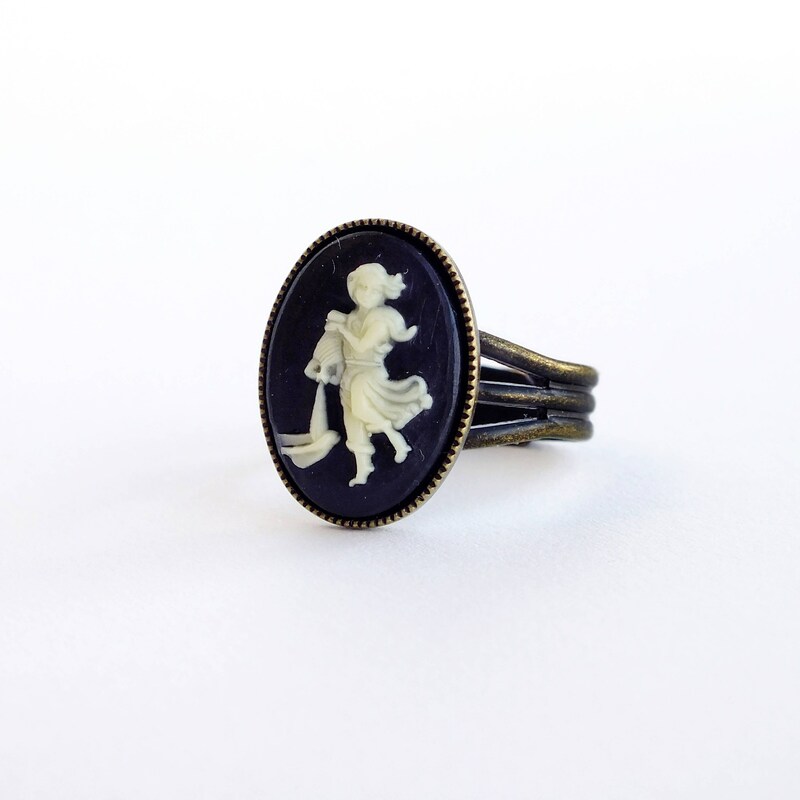 Handmade black Aquarius cameo ring with vintage Victorian astrology zodiac cameo and adjustable brass ring. 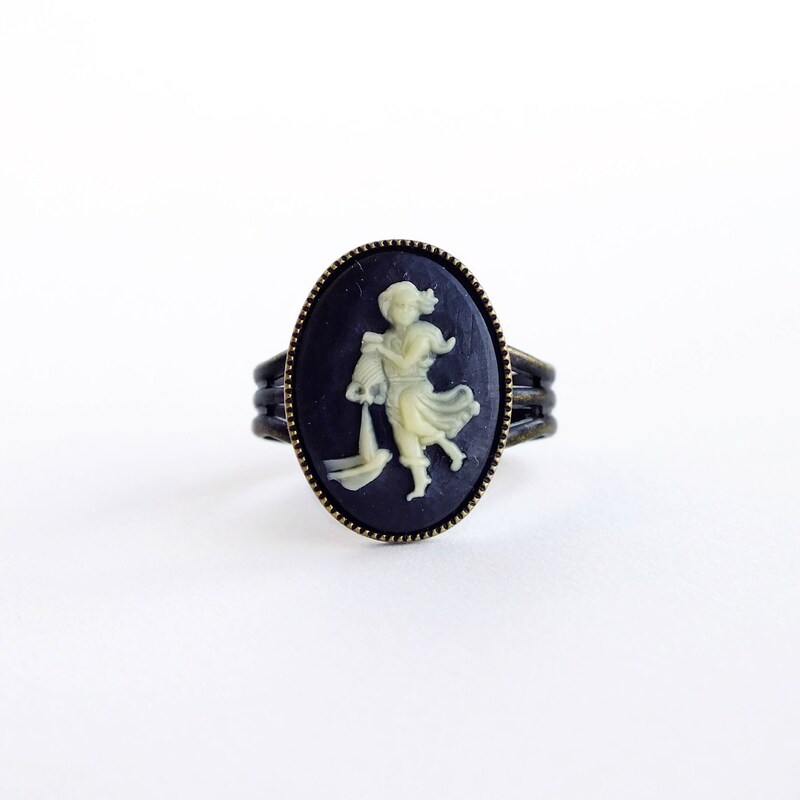 Made with a genuine vintage delicately detailed black and white Victorian style Aquarius cameo. 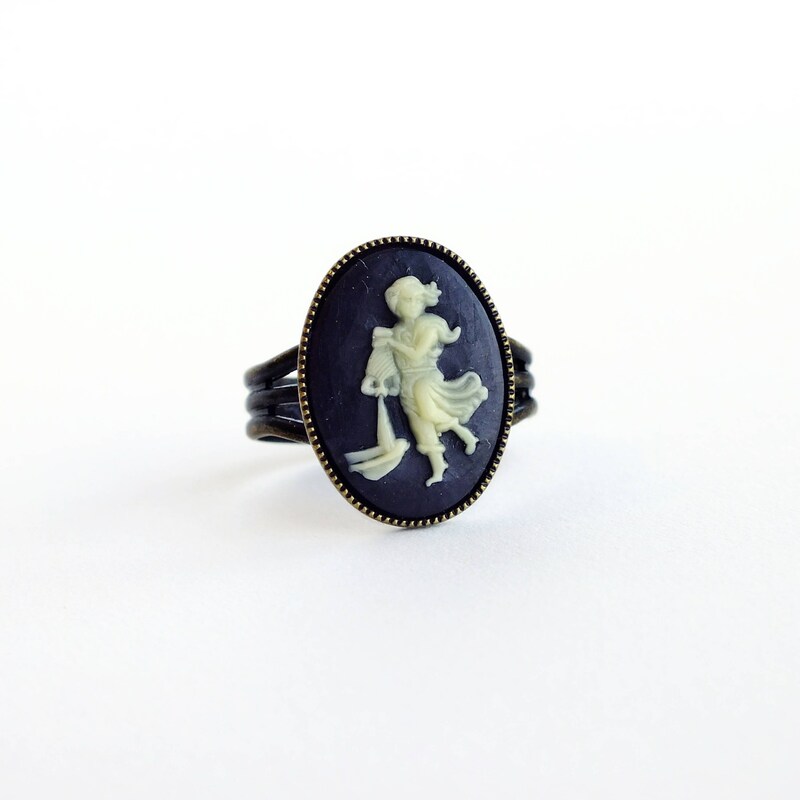 I set it in a comfortable adjustable antique brass band.